Train as a Spartan or Elite and become a hero or a villain. Your base is being destroyed by the enemy. You must train to become strong and a reliable killer. As Spartan 043 walked around he wispered "take him out 134." Spartan 043 watched him walk slowly up to him. He pulled out his knife about to stab 223. Spartan 134 grabbed the grenade and chucked it at 223 as it exploded 223 went flying into his hornet and dented it making it unable to drive. 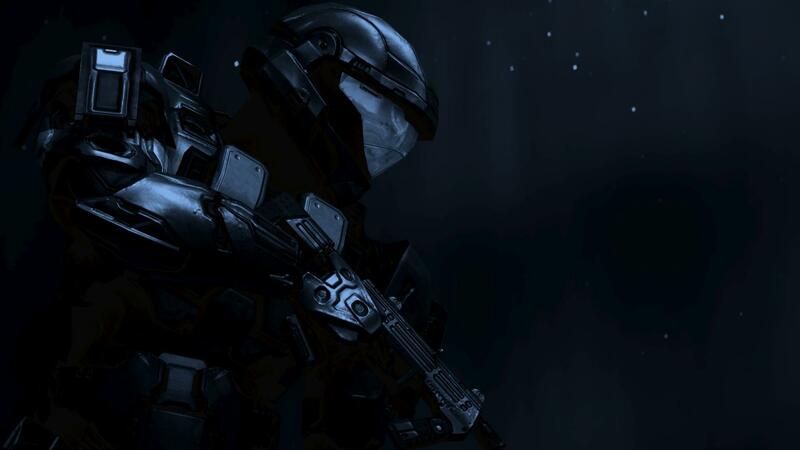 "Nice work Spartan 134 now ill get 034 over here and get him to help fix your arm." Spartan 034 snapped his arm back into place. To make sure he wasnt breathing he stabbed 223 in the back causing 223 to get knocked out. "Well we saw an intruder and he was about to take our prized object from an actient species called the coventent it gives us extra shielding technology." "Spartan 034 patch him up." Spartan 034 started healing his wound up. "Well I've been oderd by the Office of Naval Intelligence to retrieve that object,and I intend to do so. ",said 223 as he picked his DMR back up and marched towards the Blue Base once more. "Spartans,I could use some help! "he barked from inside the base. "OVER MY DEAD BODY!!!!" I screamed. I then pile drived him in the wall took off his helmet and started bashing his face in. 223 pushes you off of him.He uppercuts you in the face and shoots your team once each in the head,knocking them out for many hours.Standing at a safe distance from you,223 says,"Look Spartan,ONI is over you too,and if you disobey a direct order,I have the authority to shoot all 5 of you down right NOW!" As spartan 043 was unconion his ai woke him up after about an hour later he pulled out his assualt rifle looked around and saw 223 working on his hornet and saw the foruner technology on his hornet he saw he had his helmet on he sprinted over there took of his helmet picked him up and threw him in his hornet blowing up the hornet and frying his spartan suite. 223 was permently disabled. he picked up 223s weapons and bent them took out 223s knife and threw it over to red base stabing someone in the back. He took out his own knife and jabbed it in his throat. 034 awoke next and saw 223 with a knife in his throat and took it out and patched him up able to breath again. jack stood at the edge of blue base and waited for the attack to come to the base. he held his ma5b assault rifle in his hands, saftey off. he was ready.